Steve Jobs unvieled the newest offerings from Apple at an invitation only event in San Francisco earlier today. There were small upgrades to the iPod Classic (it now comes in a standard 120 GB) and the iPod Touch (now it comes in three different size capabilities). The New iPod Nano is here. With a 2-inch full color display and at only .24 inches thick, this is the smallest Nano yet. iTunes 8 was introduced with several new upgrades including the new Genius application, which groups songs by the way that they sound and the Shake 2 Shuffle application, which plays a random song when you shake the iPod in the air. 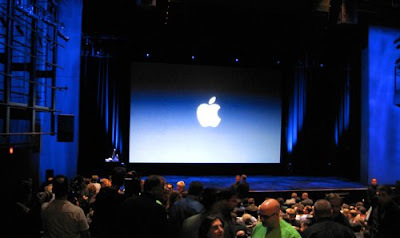 Check out Fortune Magazines Big Tech Blog to read up on all the Apple happenings.